Premier Kitchen & Bath is your one stop design center with locations in Katy, TX and Houston TX, specializing in kitchen, bath and closet design for new construction or remodeling. With an extensive selection of granite, marble, tile and quartz countertops produced from top manufacturers, you are assured the satisfaction of knowing we can design the perfect kitchen or bath at a price that meets your budget. Stop by our showroom to see over 20 beautiful kitchen, bath, and closet displays (click here for location). Do you have your own kitchen or bath design idea? Click here to schedule a free, professional consultation and let our designers guide you through the process of designing and planning your kitchen, bath or closet from concept to completion. Premier Kitchen and Bath provides quality remodeling services to the Katy area and Greater Houston. At Premier Kitchen and Bath, we have made it our mission to provide the absolute best products and services for our customers. We are well known for our experienced and qualified kitchen and bath design professionals and our skilled installers. We will produce innovative kitchen and bath designs that are functional, great looking and most important, a design that fits your budget. With an emphasis upon clear and ongoing communication, we strive to give you peace of mind, knowing that your project is being managed by experienced and committed professionals. Visit our showroom and let our professional design team guide you through the process of designing and planning your kitchen and bath from concept to completion. Our team of dedicated kitchen designers will work hand-in-hand with you to create a kitchen that looks and functions the way you want. Big or small, our designers will help turn your vision into a reality. Is the thought of having your kitchen remodeled seem a bit overwhelming? Do you often think about the need of remodeling your out of date kitchen? With the growing popularity of Italian and European kitchens more and more people are remodeling their kitchens to make some much needed space at home. The kitchen is one of the most important spaces in your home and must never be neglected during remodeling. A stylish kitchen with best features can make working in kitchen ultimate fun. So are you really interested in giving your kitchen a new and wonderful look? You can chose a fabulous kitchen backsplash and brighten up your kitchen. You can also use tile as backsplash or can use them either in a traditional manner or diagonally. 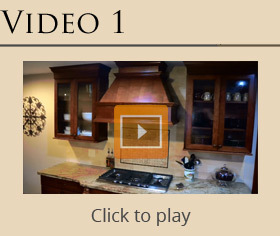 The choice is entirely yours when it comes to your kitchen remodel. You can easily hire a professional to lay the tiles for you. Thus, as soon as the backsplash in kitchen is completed you can install professional countertops. For countertops you can use contemporary materials like granite. This material is widely used and you can add it in your home to give the kitchen a lovely style. In case, you are unable to do the kitchen remodeling on your own, you can take the service of a remodeling agency for the purpose. Houston kitchen remodeling can play a wonderful role in enhancing the value of your property. It is a lifetime investment which can give your kitchen the ultimate look. On the other hand in addition to kitchen remodeling in Houston, Houston bathroom remodeling is also becoming highly popular. Bathroom remodeling is greatly dependent on the kind of materials used in it for refashioning. You can make a few changes in your bathroom or remodel it completely. Every home owner’s wish is to have a sparkling clean bathroom where he or she can relax and be comfortable. You must have an exact idea of what you expect from bathroom remodeling Houston. 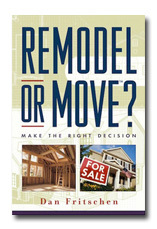 You can talk to our remodeling company about your requirements and get a quote. The quote shall provide you a good idea about the changes which can be made in bathroom. You can talk to the us about your specific choices, tastes and quality standard that you would like to maintain. You can find all types of kitchen countertops however the ones that are going to add value to your home are the ones made of granite. If you obtain a granite countertop, you notice that it is not only beautiful to view but also very durable and even cost-effective .Granite is a natural stone that has to be imported received from areas of the world that mine it. The stone is very hard and possesses a natural color and warmth that will convey a certain ambience to your kitchen.Granite is scratch and crack resilient and cannot be readily cut or polished without the use of a diamond-based cutter. Granite countertops have always been preferred with home interior designers but just recently they are becoming popular to the general public. There are all kinds of colors to select from like blue or red or black but the most eye-catching for many are either beige or brown. The reason why granite is good to have as your kitchen countertop is the fact that hot cookware will not damage it and hot grease and oil won’t stain it. You’ll additionally find that granite’s cool and polished surface will last you for countless years and is also great for rolling dough. Every piece of granite is unique in its design therefore the countertop you will have will be the same as no other. Granite has a natural elegance and brilliance designed to give your kitchen plenty of character and personality. Also, the natural elegance of granite countertops complements the color and style of your kitchen cabinets.If you are planning to remodel your kitchen, setting up granite countertops will be a great idea since it can add value to your home. Granite countertops will pay for themselves in the end! The more expensive homes have granite countertops given that they remain serviceable for a long time, are very attractive and will hold their value. If you try to sell your house, you will find that buyers are willing to pay even more if your home has an updated kitchen with granite countertops. If you remodel your kitchen, make sure that the granite color you pick is definitely the one that will go with your kitchen. If you plan to get a granite countertop, you have to also make sure you have the appropriate sink. The ideal sink would be a stainless steel, under mount sink with faucets that coordinate. With the appropriate cabinets and accessories, you’ll have a very beautiful kitchen. You may not in fact have to tear out the cabinets, just replace old handles and knobs with spiffy new ones and you’ll instantly have a modernized kitchen. In your plans to renovate your kitchen, be sure that a granite countertop is listed. Even if you don’t want to sell your home, having a granite countertop is able to bring joy into your kitchen. Kitchen remodeling Katy – is a popular search online, and it’s not just those in the area, it’s many people looking to retrofit their home with the style of Texas. If you’re one of those people that want to look for options that will upgrade a home from standard to something greater, consider the following 3 things that will help you make proper decision in the remodeling of any kitchen. Whether you are going to do the work yourself or hire a professional, these tips can help you in the long term. Eco-Friendly – When looking at kitchen remodeling in Katy, make sure that you look for eco-friendly options. Many energy star rated appliances can save you money in the long term but also ensure that you’re getting tax rebates from the government and they run well too. The latest technology really is about efficiency, cost effectiveness, and helping the environment, and you can have all things happen when you consider eco-friendly options for your new remodel. Kitchen Remodeling Katy : Kitchen Remodeling – How much? Kitchen Remodeling Katy : Your Kitchen – Remodel or Update? Your kitchen is where you and your family spend a great deal of time. Your kitchen is most likely the heart of your home, where meals are cooked, homework is finished, and where your family enjoys spending time together. It is often the place where friends, neighbors and family automatically gravitate, drawn by the aroma of food cooking and the warmth of the room. The kitchen is one of the busiest rooms in your house; shouldn’t it be as beautiful and functional as possible. There are many options for kitchen remodeling in Houston, ranging from easily accomplished, bare-bones budget plans, to a complete kitchen remodel. With a full remodel, you can do a nice job with a relatively small budget or go for a complete luxury kitchen remodel. When it comes to what is available to update and remodel your kitchen, the sky is the limit! Keep in mind also, that short of committing to a full kitchen remodel, it can be surprisingly easy and cost-effective to update your kitchen with a few new items and make it as welcoming and useable as possible. You could start by resurfacing cabinets, for instance, or installing new countertops or flooring. How about re-tiling the backsplash with beautiful tiles that will complement your kitchen décor? Or consider getting new appliances. A beautiful new range or the spacious refrigerator you’ve always wanted can make change the look of your kitchen. Even something as simple as choosing new knobs and handles for cabinets and drawers can freshen the look of your kitchen and make a dramatic difference in how you feel about spending time there. If you do decide to do a complete kitchen remodel, consider hiring different people to do specific pieces of work, or hire a kitchen remodeling company in Houston to oversee the entire project. To begin, start by taking an honest look at your budget and don’t forget to set aside a fund for all those little unexpected things that crop up in remodeling jobs. You may decide to do a budget kitchen remodel, or take a middle of the road approach, or go for everything and treat yourself to the luxury kitchen of your dreams. Whatever your budget, you can start the process by getting ideas for how you want your new kitchen to look. If you’ve applied for a loan to get the work done, this is something you can begin right away, while you are waiting for the money to fund. It has the added benefit of creating inspiration and determination to see the job through-once you have visualized how your kitchen will look, you’ll never be satisfied until it is a reality. To start, visit home improvement stores and wander the aisles, looking for ideas for your kitchen remodel. Leaf through kitchen magazines and study the ads and read the articles to familiarize yourself with what’s available, including the many new products that are constantly being developed. Start to form ideas about what will and won’t fit your budget. At this step, when you see all the possibilities for a new kitchen, you may decide to put a bit more into it than originally planned. Kitchen Remodeling Katy : Remodeling Your Kitchen or Bathroom – Will it Pay Off When You Sell? Never remodel with a strong niche theme in mind. That means no checkered flooring, retro, country, etc. A theme that does not fit with your home and or mass market may make it harder to sell your home. Pay special attention to the color decision of the cabinet. An abnormal or an mismatching color of the cabinet can ruin all your efforts. The kitchen paint can also be supported by matching hardware and paintings. Follow these simple steps and enjoy every moment of cooking and dining! Request a free consultation form Premier Kitchens NOW!